Hollyhock Quilts: Bed Quilt Top and Thoughts on Sewing with Barkcloth! 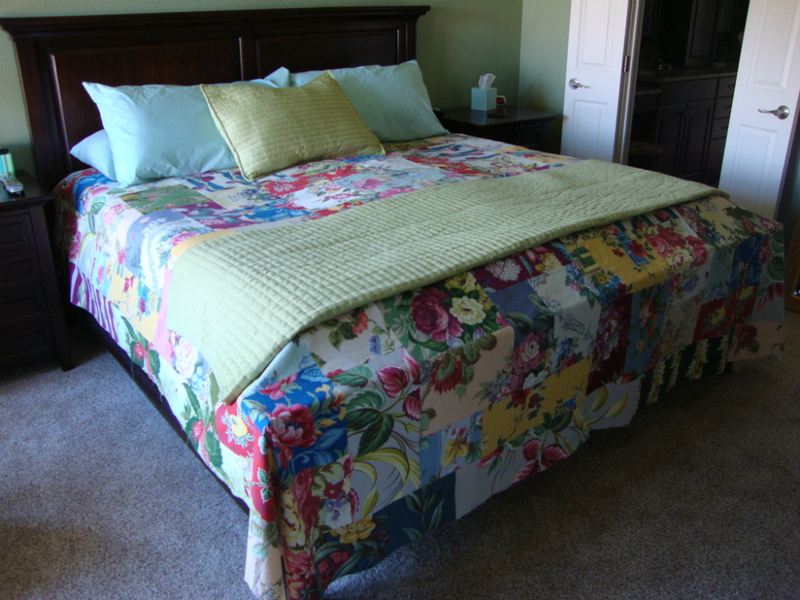 Bed Quilt Top and Thoughts on Sewing with Barkcloth! Good Morning! Well, the top is done and I've taken a pic of it on the bed so you can get an idea of what it will look like. Lighting is bad, but you'll see enough to tell. Now to get the backing done and off to the quilter. 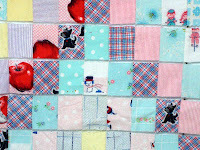 I think I'll just have her do a big all over design since you really won't be able to see the quilting very well. What do you think? 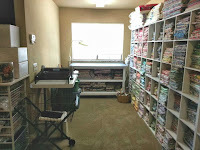 I wanted to pass along some thoughts on making this huge quilt and working with these fabrics. First of all, I am SO in love with barkcloth now that I'm on the hunt! It's not easy to come by at a reasonable price for sure! Yikes! Have you looked on eBay?? 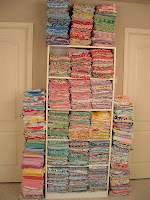 Anyway, as I first told you, I paid no attention to the texture or content of these fabrics. 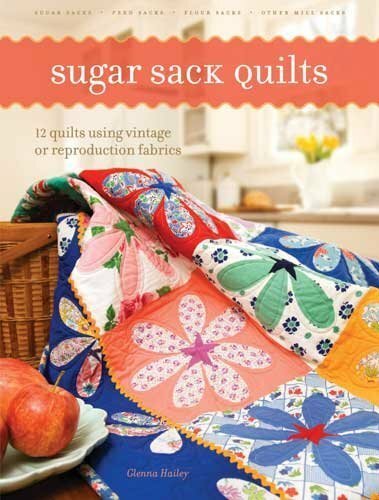 They range from cotton quilt weight to pretty heavy drapery weight fabrics. Some are slick rayon. The only thing I will say is that the looser woven fabrics tend to stretch so you need to keep that in mind. 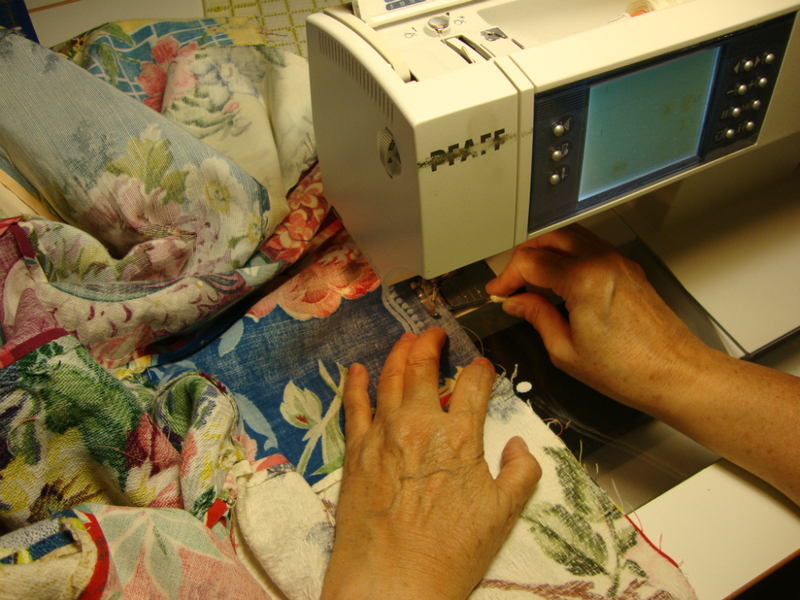 Otherwise, sewing with them was no problem. Because of the weight, I ironed all the seams open as shown below. I just felt that they would be too thick to sew over if I pressed to one side as usual. When I sewed the pieces together I used my seam ripper as a guide to push the seams to the correct side. As you know, this thing is HUGE! It ended up about 105" x 108". 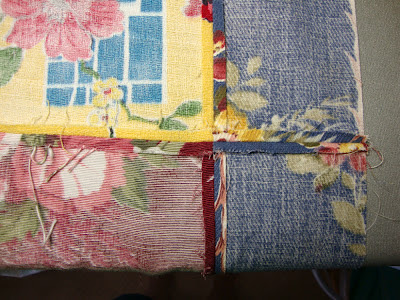 I really dislike sewing LONG borders to a piece, so how I handled it was to border each 48" square on two sides before I joined them. 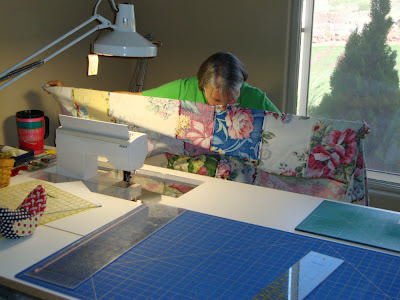 I cut strips the full width of the fabrics to add to the borders and I wanted them to look like continuous pieces so I cut the border fabric where I needed to add to the 48" and then picked up the remaining piece of the strip to use on the next 48" square. 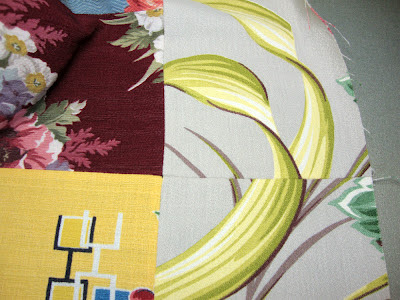 So those border strips have a seam in them but it's hard to tell when you're looking at the quilt.